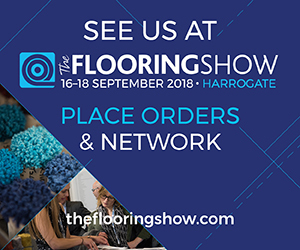 Come see us at The Flooring Show in Harrogate 2018 - We are on stand A13/A21. We look forward to seeing you there. Find us on Facebook, Instagram, Twitter and Pinterest. Pinterest - Victoria Carpets Ltd.
Victoria Carpets will be at The Flooring Show in Harrogate from the 18th to the 20th September 2016. Come along and have a look at our stand! Walton Flooring Centre launched their new store. The Victoria Ultimate Studio has pride of place in the store and looks stunning. Launch day was a great success and supported by the local community. 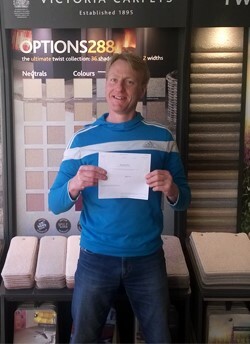 As a family-run business the Walton team pride themselves on their carpet and flooring offer, backed by friendly service. Designed to make a distinctive first impression, the retailer opted for our Primary Studio adding a Mix ‘n’ Match unit which provides a strong focal point to the retailers shop front and attracts customers. 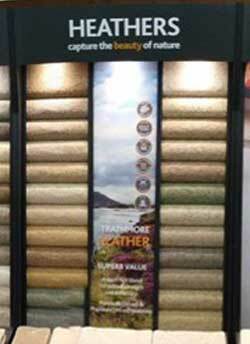 Their display includes five of Victoria Carpets best-selling ranges- Soft Touch, Heathers, Options 288, Twist & Loop and Naturals. 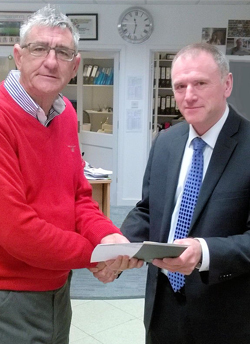 Gooden Floorings, a family business established over 30 years in Neston have recently been presented with a share certificate worth £500 in Victoria PLC. 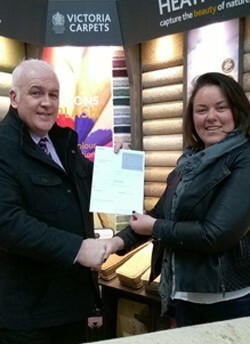 David Rockliffe their Victoria Carpets Area Sales Manager, presented their certificate to Tracey Gooden, following the installation of Victoria’s Ultimate Studio. The Ultimate Studio combines 7 x 1m wall units and two corner units to showcase all of Victoria’s carpet collections, inclusive of our very latest product introduction Options Splash. Caterham Carpets located in Surrey and serving the surrounding counties specialise in quality carpets and vinyl flooring. Victoria Carpets exclusive LOC-weave® backing provides assurances for all our customers. Environmentally friendly, our backing has low VOC emissions, uses minimal energy in the manufacturing and finishing process and is effluent free. Supple and flexible, even when cold, installers benefit from its lightweight superior handling, crease resistance and ease of installation. Our customers enjoy a LIFETIME warranty against pile reversal, with exceptional tuft bind and definition, as well as stronger lamination. A low tog rating ensures our carpets are an excellent choice for underfloor heating. 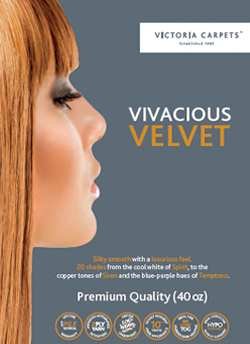 Available in 20 on-trend shades from the cool white of Spirit, to the copper tones of Siren and the blue-purple hues of Temptress, the silky smooth luxurious feel of Vivacious Velvet offers a cosy finish to any interior. Made from 100% NY-tex (nylon) this premium (40oz) quality carpet boasts a lifetime warranty and thanks to Victoria’s exclusive LOC-weave backing, is softer underfoot. 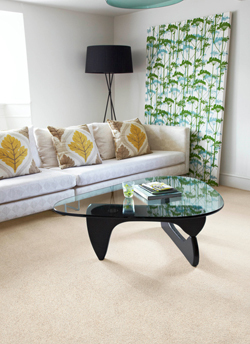 Vivacious Velvet is highly durable and is designed to offer a truly original and contemporary carpet to any setting. Victoria is now offering a twice-weekly delivery service to the majority of its customers. Previously, Victoria handled 97% of its transport with the Victoria fleet, with about half our customers getting one delivery per week and the rest getting two. With Abingdon Flooring joining the Victoria PLC Group, we have seized the opportunity to work together to improve service levels. Victoria will continue to handle the majority of UK mainland deliveries inhouse delivering twice weekly to the more densely-populated areas. Alliance will deliver twice weekly to areas including Wales, East Anglia, Cornwall and the North East of England with plans currently underway to extend this twice-weekly service to Scotland. 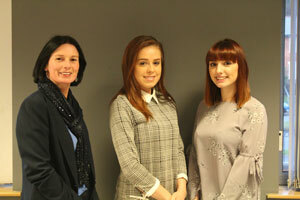 Victoria Carpets is delighted to welcome Emma Fletcher to the team as National Sales Manager. Emma has a wealth of experience in many notable companies having previously worked for British Gas, Brintons and Karndean Design Flooring amongst others. 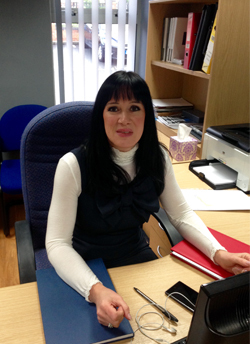 Using her broad knowledge of the industry, Emma will be responsible for driving residential business for the company. Her last role was as Sales Director for Brintons Ltd and thus she comes to Victoria Carpets with insight and knowledge which coupled with her undoubted drive and enthusiasm will help make the company stronger and more dynamic. Welcome to the team, Emma. Prestige (50oz) quality, Options Splash is an 80% Wool/ 20% Nylon blend providing all the comfort and integrity of wool with the added benefit of increased durability. Available in 4m & 5m widths and using Victorias exclusive LOC-weave® backing, this premium spun wool carpet would make the perfect addition to any interior. To recognise and reward retailers' support of Victoria's products, Victoria Carpets is offering a unique, exciting opportunity to be part of their expanding business. With every purchase of a standard studio (Ultimate, Classic or Primary) retailers will qualify for up to £500 shares in Victoria PLC. Magic Carpets, Salisbury, is one of a number of retailers who have already benefited from the scheme (pictured right). Shares are awarded on a company to company basis and are issued quarterly to qualifying retailers. Made from 100% tex-LOC (Polyester), Victoria developed the Shimmer range to meet the needs of the market for a carpet of exceptional quality and value, without compromising on durability and performance. Available in Platinum (65 oz) & Premium (45 oz) qualities, Shimmer has been designed to capture the luxurious look of wool with the performance and durability of man-made fibre. Shimmer comes in two widths, 4m & 5m, and has a palette of 8 neutral shades which compliment the subtle lustre, creating a sophisticated finish. 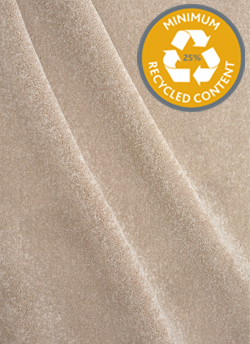 An environmental-friendly carpet, plastic water bottles have been recycled and form a minimum of 25% of the 2 ply yarn. 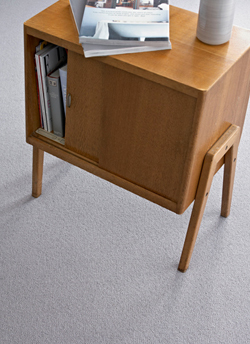 Manufactured to exacting standards, our carpets are highly resilient and durable while providing warmth and comfort. 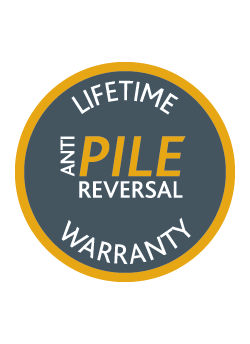 Our exclusive LOC-weave™ advanced backing provides assurances for our customers, on the basis the carpet has been professionally installed and cared for we offer our ‘Lifetime anti-pile reversal’ warranty. What is Pile Reversal?Pile Reversal is a perceived variation in the carpet colour caused by random changes in the pile direction or "nap" of the tufts. It results in irregular patches of light and dark on the carpet, resembling puddles or water marks which are not coincident with foot traffic areas. Most manufacturers issue a disclaimer to the effect that pile reversal is a natural phenomenon that cannot be prevented.However, Victoria's unique production process inherently stabilises the pile and prevents pile reversal. Victoria Carpets Limited provides peace of mind with our lifetime Warranty on your LOC-Weave™ backed carpet against random pile reversal (as defined above) in a residential environment. Demonstrating Victoria’s continued commitment to quality, Victoria Carpets Ltd. have recently received IS0 9001 and IS0 14001 Certifications. Certification to ISO 9001 and ISO 14001 standards required an accredited third party auditing organization to thoroughly review Victoria’s internal quality management system processes and environmental management system, ensuring capability of consistently delivering a service that meets our retailers’ needs and expectations. ISO 9001 illustrates that our processes from purchasing through to invoicing – and all of the production in the middle – are documented and controlled. ISO 14001 is an environmental certification, demonstrating the business’s commitment to ensuring it does nothing to harm the environment at the site, in the immediate location or nationally. It demonstrates this by controlling and recycling waste at every available opportunity, by reducing or eliminating landfill and by using less energy wherever possible. 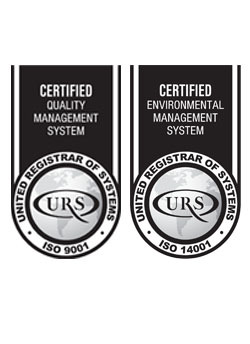 The 2 certifications are the result of much hard work in designing and implementing new procedures. Victoria Carpets are pleased to be exhibiting again at the Buying Groups National Floor Show on 15th May 2013. The show will give Victoria the opportunity to speak to retailers about exciting new product launches planned for 2013 as well as other new product development plans. 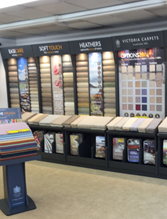 Victoria Carpet offer’s 288 options with their new range! Victoria Carpets is offering retailers and consumers alike the ultimate carpet choice with the launch of their new Options 288 range. This new collection of superb twist pile carpets is a mixture of both plains and heathers and in total offers 288 different combinations of carpet choices. When it comes to choosing a carpet Victoria knows that colour is key, so Options 288 comes in a palette of 36 contemporary colours. Not only does the collection offer a mixture of ever popular warm neutral shades such as Flapjack and Cane Heather but it also boasts bright, inspiring colours such as deep Cobalt blue and rich Carmine red. 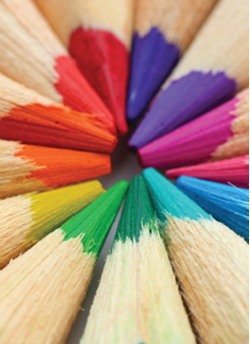 Each of the 36 colours can also be ordered in 4 different weights, starting at 32oz and moving up to 40oz, 50oz and 60oz. This new venture for Victoria, of offering 4 weights within one range, gives the consumer more choice by allowing them to purchase a carpet in any colour at an affordable price. Victoria has added even more choice to the collection by offering all colours and weights in both 4m and 5m widths. Victoria Carpets Limited has been granted a Royal Warrant to Her Majesty The Queen from 1st January 2013. This is great news and a fabulous way for the business to start the New Year. Victoria Carpets, established in Scotland in 1895, has been carpeting the Royal Households for a number of years. 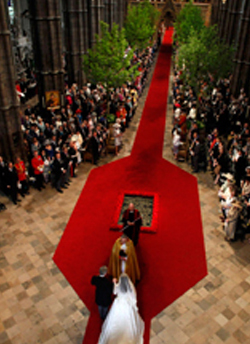 They even supplied the red carpet for the Royal Wedding of Prince William to Catherine Middleton in April 2011. 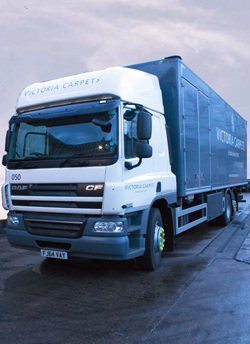 VictoriaCarpets, who produce both tufted and Wilton carpets at their Kidderminster site, will be extending their product portfolio in 2013. They have a number of exciting product launches planned over the coming months when all will be revealed.